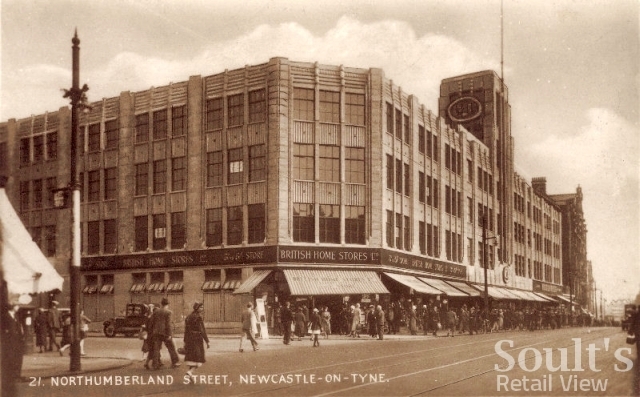 Plans for Northumberland Street’s new BHS store have been submitted to Newcastle City Council, and propose a more radical than expected transformation of the former Next building. 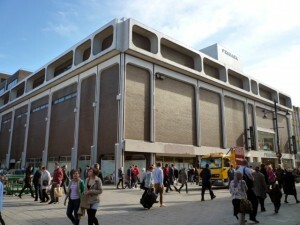 Back in March, a notice posted at the old, closed-down BHS stated that the relocated store would be opening “in the autumn”, giving a fairly short 5-6 month window for the Next site to be redeveloped, once vacated in May. On this basis, I’d assumed that BHS would focus its attention on stripping out and rebuilding the store interior, and that the building’s frontage would see little change beyond a new shopfront and signage. The drawings also reveal that the BHS shopfloor will span four levels – one more than Next occupied – including menswear in the basement, womenswear on the ground floor, lingerie on the first floor, and the BHS Café on the second floor, while the third floor will be used for storage. 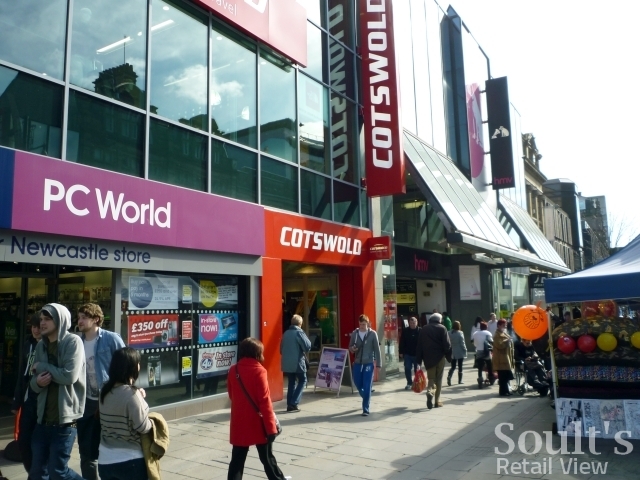 Homeware and childrenswear are also expected to feature, though their locations within the store are not clear. Just like the first new-generation BHS store that was unveiled in Uxbridge a year ago, the Newcastle shop is the work of top London-based design consultancy Dalziel & Pow. 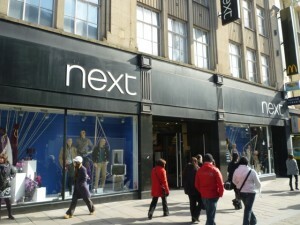 Last year, Retail Week described Dalziel & Pow as “the low-profile leader of the UK retail design industry”, responsible for “new formats that set the pace on the high street in the UK.” Coincidentally, the company was also behind the design of Next’s new store in Eldon Square. The boldness of the proposed design will surely divide opinion, and even I’m not entirely sure how I feel about it. 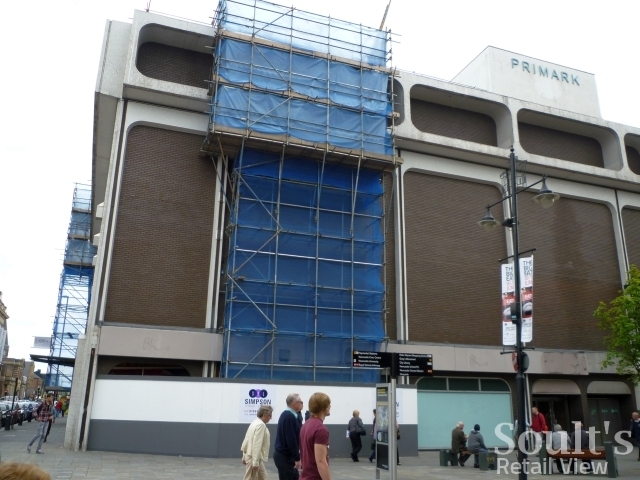 On the one hand, it will be a shame to lose the existing frontage, given that it’s really quite handsome, and – as I noted last year – is the last remnant of the building that used to occupy the full extent of the site currently occupied by the ex-BHS, ex-Next and Primark (below). 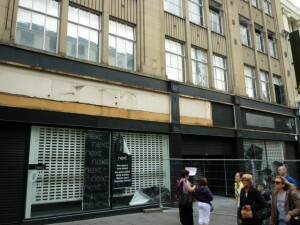 On the other hand, Northumberland Street’s lack of a coherent architectural style makes it the only location in Newcastle city centre where ‘glass box’ shops really work. Indeed, there is a long history of older properties in the street being given shiny new frontages, such as the present HMV store (a new skin on the old Callers building), and, only last year, the transformation of the Currys/PC World and Cotswold Outdoor property. Like those redevelopments before it, BHS’s investment will be a powerful – and very visible – indicator of confidence in the future of Newcastle’s premier shopping street. Whichever argument eventually wins me over, the building certainly loses some of its visual appeal now that the shop windows are empty and the Next signage removed (above). 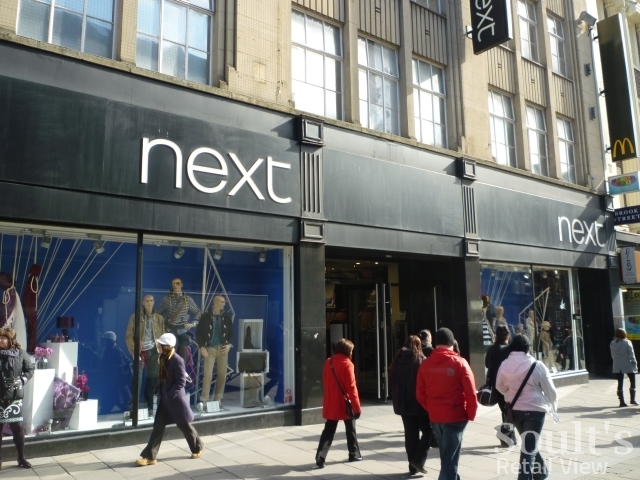 As I’ve remarked several times before, shopfronts and fascias can hide a multitude of sins beneath, and the removal of Next’s signs has revealed the remains of what appears to be two separate fascias. A photograph on the Newcastle Libraries Flickr stream shows the property in 1975 – some years before Next’s arrival – housing a store called Penberthys, but it’s entirely possible that the space accommodated two separate shops at some point in the past. Meanwhile, work seems to be progressing at the ex-BHS site a couple of doors away (above), which is set to be occupied by an extended Primark store. 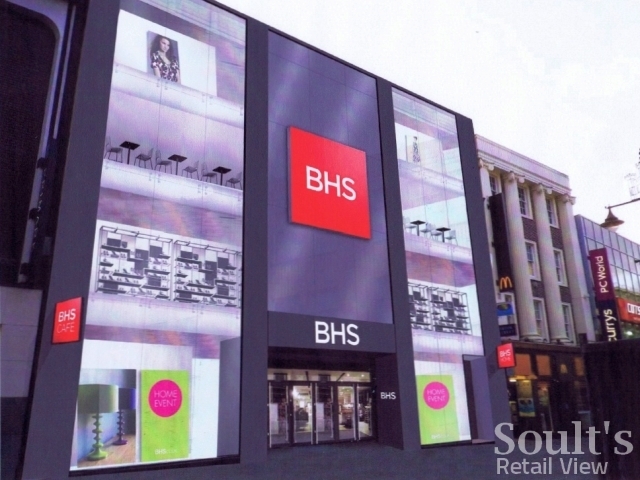 No planning application has been submitted yet, however, so I assume that current works are focusing on stripping out the old BHS interior. 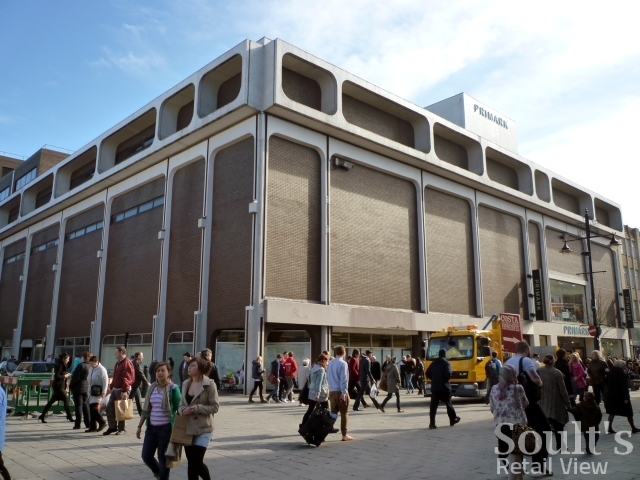 In due course, it will be fascinating to see what Primark proposes for the site, given that the frontages of the ex-BHS and current Primark stores (above) will need, somehow, to be unified. 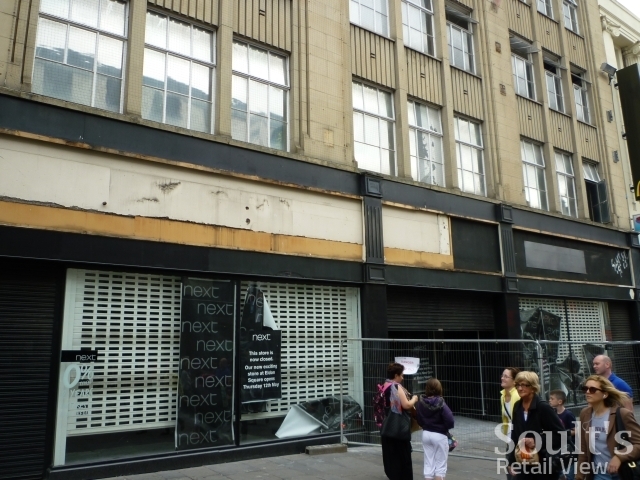 One thing’s for sure – as one of Northumberland Street’s ugliest buildings, there probably isn’t a property in the street that’s more in need of a refronting. Here’s hoping that Dalziel & Pow – or someone else – will be drafted in to work some magic with glass and aluminium.